With the maturing population looking to specialists for specific health, financial and legal needs, why not look to a specialist to provide services in our housing and real estate markets as well? Given the unique lifestyle and/or housing needs and issues of our maturing population, there is a certain group of real estate professionals that have received special training, regular up-dates and are prepared to suggest options and offer information needed in making good life changing decisions with regards to their real estate investments. 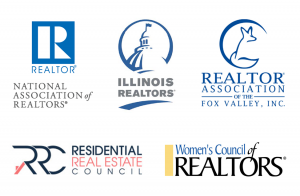 They are also required to be good standing members of the NAR (National Association of REALTORS®). They are SRES (Seniors Real Estate Specialist®) designees. 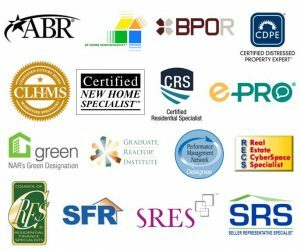 The professionals that have earned the SRES® designation are individual that have gone above and beyond what is required of a state licensee in order to acquire knowledge and experience to better protect and serve the needs of their mature clients. If you´re a mature consumer that is thinking of buying, selling, relocating or refinancing real estate, having a SRES® designee on your team of professionals to help advice, guide and council you in this aspect, can bring you the confidence you deserve and should expect from your real estate professional. 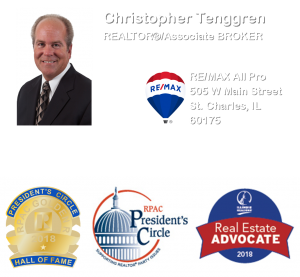 To learn more about Christopher´s SRES® and other Professional Designations and Certifications, visit the About Me page on this web site! In Illinois, the Illinois Department on Aging helps older people live independently in their own homes and communities. To best serve older adults, they also serve their families and teach younger people about the realities of aging, so many of their programs have an intergenerational emphasis. For demographical information, agencies serving seniors, and much more, visit the State of Illinois’ Web site or call them at: 217-785-3356. A Welcome Break for Homeowners – As early as age 55, you may be eligible for a special consideration on your property taxes. Most states give residents over a certain age (sometimes as young as 55) a break on their property taxes. In some states, you’ll need a relatively low income to qualify, but in others your income doesn’t matter. All 50 states offer some type of property tax relief program, such as freezes that will lock in the assessed value of your property once you reach a particular age. In addition, counties and municipalities often have their own property tax relief plans. For details in Illinois, check the State of Illinois Department of Revenue Web site or call them at: 800-732-8866.